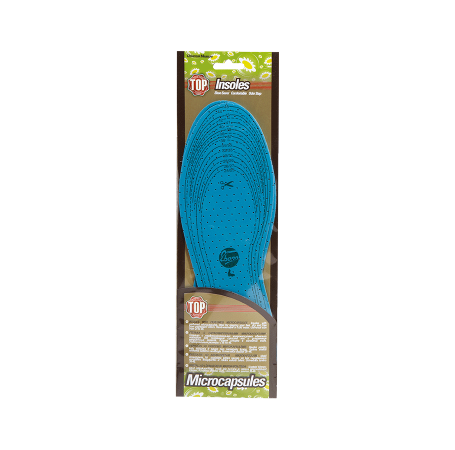 Insole with perfumed microcapsules, ideal for keeping the foot dry and free from unpleasant odours. Hand-washable in cold water. Universal size from 24 to 46. The millions of microcapsules contained in the cloth release Pine, Menthol and Eucalyptus essence with every movement of the foot and refresh and perfume it. The underlying latex layer improves comfort.